Can you afford to take time off work for tests? Medical testing is part of a doctors diagnostic tool but often involved time off work ! Child health insurance, now that is worth having! Check your policy has child health insurance, you might well sell everything for your kids health, but you don't have to! Get the best of physiotherapy care available, you are worth it! Many of us rush back to work because we can't afford to recover fully, there is an alternative. Young children just shouldn't be ill, but sometimes sadly, they are. You would sell anything to get them better -but you don't need to. Why not check to see if your quote is still the best available. 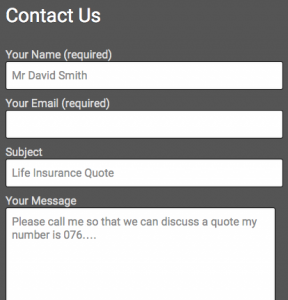 We can give you a free quote, sp text LIFE to 07525 354118 or click "LEARN MORE"
If you have all three you have a comprehensive policy. 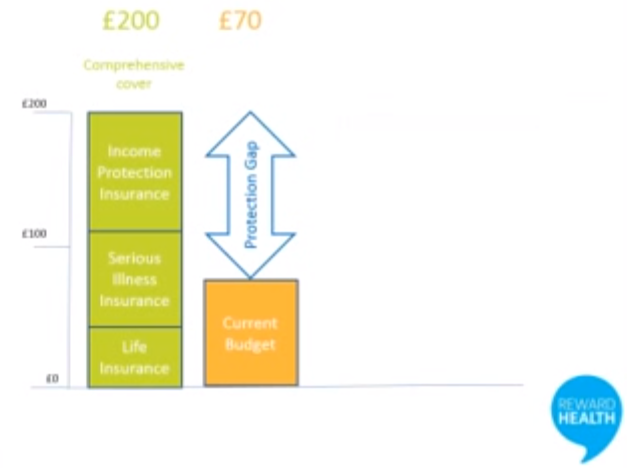 Most people do not have all three types of insurance cover, which means there is a shortfall in the insurance terms this is called the protection gap this is currently £2.3 trillion pounds. Cardiff Health Insurance – What is life insurance cover? Life assurance cover is an insurance policy which you can take out so that your dependents receive either of a lump sum of money or regular payments if you die. There are various types of policy which can run for a period of time say five years, 10 years or 25 years during that period or term you will only be paid out if you die during the period of the insurance. If you want to policy that pays out whenever you die then a “whole of life policy” is what you need. It will do this providing you keep up the regular payments.Life insurance only covers death unfortunately it only pays out if you die so whilst your family are provided it’s not should benefit to you except for peace of mind. The second component of health insurance is critical illness insurance which pays out a lump sum or a regular payment. This will be of benefit and would obviously help to cover a mortgage or other expenses if you fall ill.
Critical illness policies tend to be rigid and they only pay if you are critically ill, they do not pay if you have a milder illnesses which can be equally debilitating. If you want protection of your income then you have to take out the third component of health insurance called income protection insurance. This covers a wide range of illnesses and disabilities and will make regular payments until you are fit enough to return to work unless of course you retire or reach the end of your policy payment term. Life insurance provides cover for your dependants if you die, the size of the payment you receive is dependant on two things. Firstly the size of the monthly payment, the higher the payment the greater the payout will be providing all the conditions of the policy have been met. Secondly, the Life Insurance payment can only be made if it is within the term of the policy, that is the life insurance will be payable if you die within the agreed term of the policy, life insurance terms can be typically 5 years, 10 years or even, what is called whole of life term. So if you live in Cardiff and take a life insurance policy and unfortunatly die within the 5 year term you get cover. Outside the term will not be covered. It is obvious that , ‘whole of life cover’ is the most complete life insurance cover you can have, it is surprising how little you need to pay to get this cover, and new types of cover are available that give benefits to you AND your family without having to die first. You take out health insurance and life insurance because you enjoy spending time with your family, however, it is made up. The new policy rewards you for thinking about them in a way that makes living TODAY FUN ! 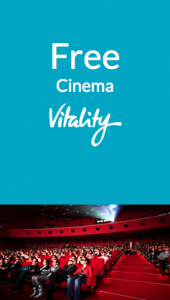 You can get free weekly Cardiff cinema tickets, 50% off trainers, hugely reduced days out at Champneys and fun parks, free weight watchers and loads more being loaded on the life insurance cover daily. But something for nothing doesn’t exist so what do I have to do? The answer is live a sensible life style, don’t worry, even really small changes get rewarded! You don’t have to live in a gym, far from it. What is more you might just need to visit your local pharmacist for the odd test, where of course you will also get money off your shampoo, make up and deodorant!